Our trained professionals are certified to administer exceptional garage door cables repair in Texas City, Texas. Our customers trust us because they know we will respond with urgency and provide the exact service they need. We stock our service vehicles with many different sizes of garage door cables to ensure we have the right one for your particular system. A broken cable can make it impossible for the door to open and close efficiently. The task of replacing this item is not something you should take on yourself. It is recommended that you contact Garage Door Repair Texas City and let our experts provide the service safely and correctly. If a cable has snapped on your garage door system, the chance of repair is remote. In this case, replacement is typically the common solution. However, there are situations where the issue is a component connected to the cable and we can effectively repair those problems. Our qualified technicians are prepared to administer quality garage door cables repair or replacement service quickly and accurately. By keeping a variety of cables and spare parts on hand, we can enhance the customer service experience. We firmly believe that Texas City Garage Door Repair is the best company to call to address cable repairs. When the need for installing garage door cables arises, we always do the job quickly and correctly. Our technicians are thoroughly trained to install cables on all types of garage door systems. You can call our garage door cables replacement team with confidence and know that we will install the product by the book. Whether you need Garage Door Repair Texas City to repair a cable that has slipped off the drum or to completely replace a cable that has snapped in two; we are the company to call for help. 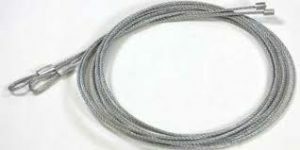 We guarantee complete customer satisfaction with our Texas City garage door cables repair service.